Last week, Acer opened preorders for the first HDR 4K@144HZ G-Sync monitor, the Predator X27, which also costs $2000. 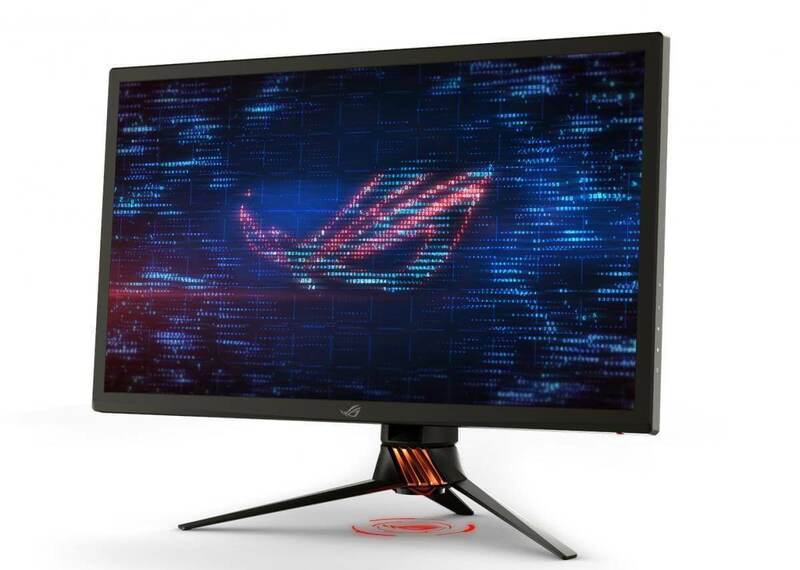 Given that it uses the same 27-inch IPS panel, the PG27UQ’s specs and price are the same, though Asus says this is the first monitor to come with DisplayHDR 1000 certification—despite the Predator X27 also reaching 1000 nits brightness. With the Asus model, buyers get the ROG Light Signal, which casts the ROG logo onto a surface, and Light Signature features. It also comes with an integrated light sensor that automatically adjusts the brightness in darker rooms. Additionally, the LED lighting can be synchronized along with other RGB Aura Sync devices. The panel, which boasts Quantum-dot technology, is rated for 97% DCI-P3 color gamut and 99% Adobe RGB color gamut. There’s also LED backlighting that dynamically controls 384 zones and factory color calibration. As with the Predator X27, it’s hard to imagine this monitor being anything other than spectacular, but that price is still hard to get past. Not to mention the obvious fact that it’ll take an absolute killer rig to get the most out of a monitor like this. But some may view both devices as forms of future-proofing, ready to take advantage of upcoming graphics cards such as Nvidia’s GTX 1180.